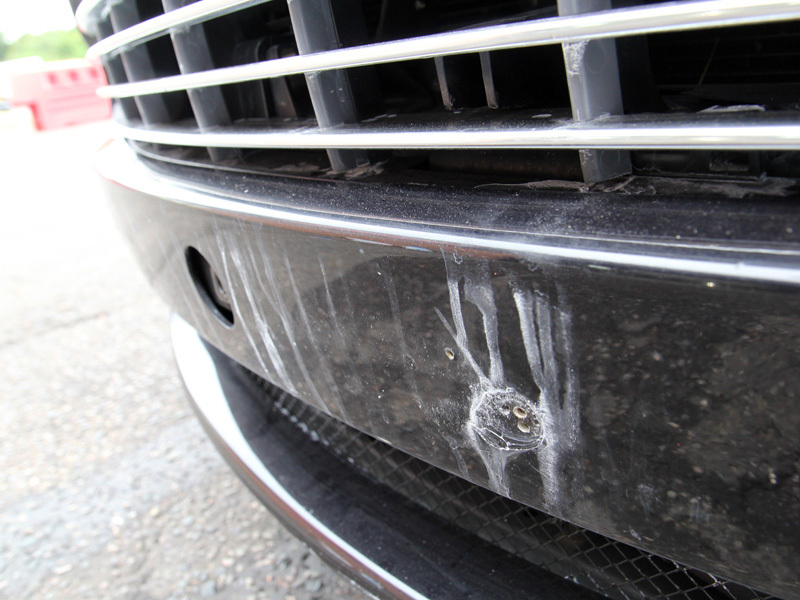 When you love your car, seeing the damage inflicted by regular use, especially when it’s unprotected, can be upsetting as well as impacting on the potential resale value. 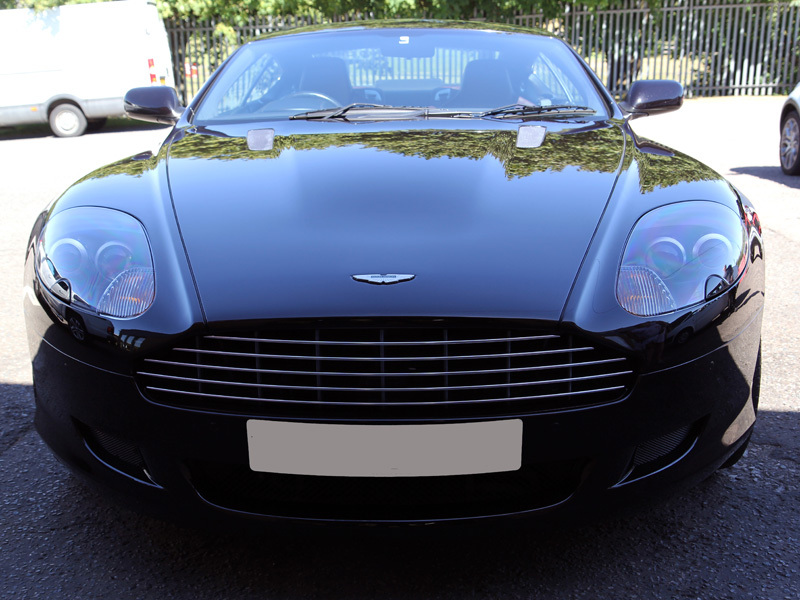 The owner of this 2005 Aston Martin DB9 was in just that situation: the Onyx metallic black paintwork was covered in wash swirls and other blemishes, whilst the interior leather was also showing signs of age related wear that required treatment. 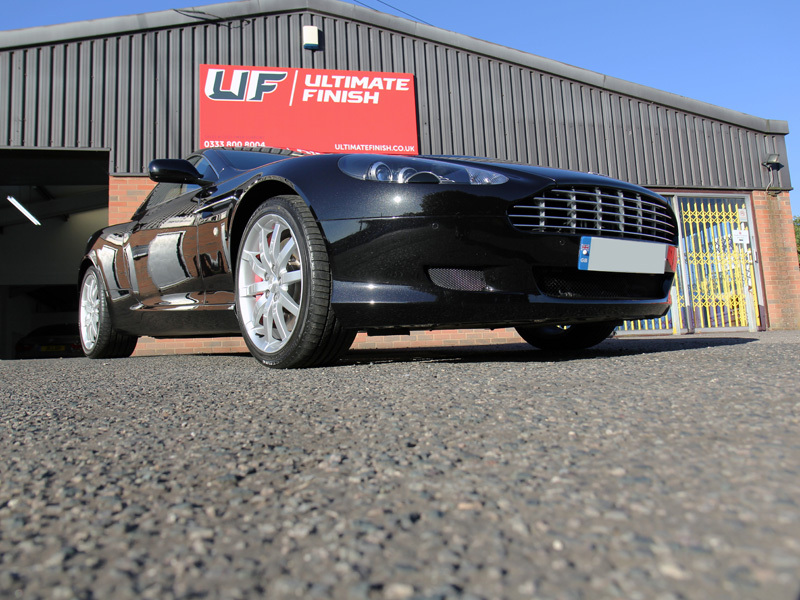 As a result, the DB9 was booked into UF’s Brands Hatch based Detailing Studio in Kent for Paintwork Correction and to have the leather interior cleaned, repaired and refreshed. On arrival, the environmental fallout was highly visible against the dark paintwork. 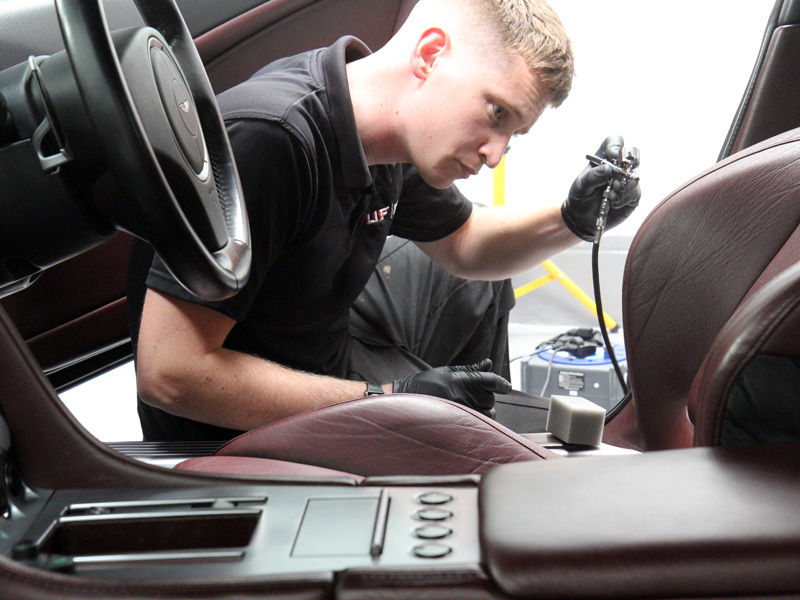 Contamination had worked into all the nooks and crannies, even into the door handle insets, fuel filler cap and all boot, bonnet and door shuts. 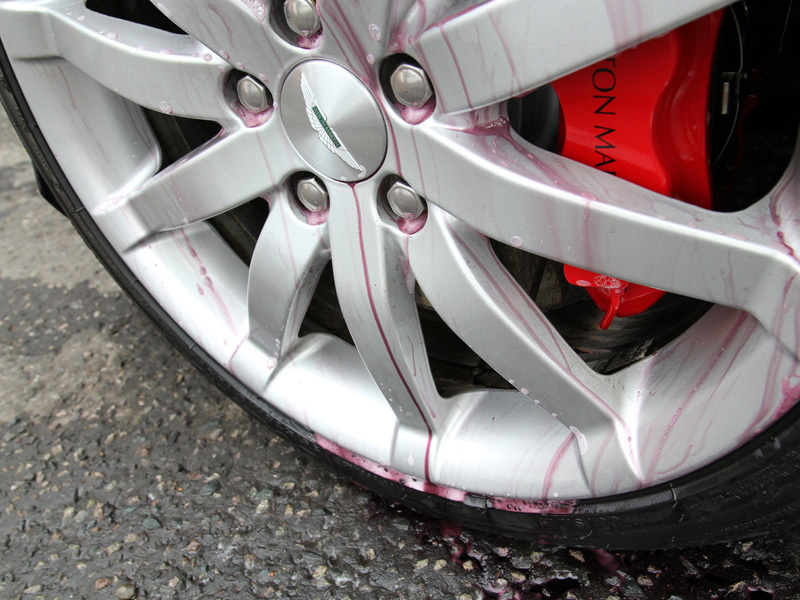 Initially, the bodywork and wheels were treated for iron contamination using Valet Pro Dragon’s Breath. This non-contact cleaner contains an active ingredient that turns the solution purple when in contact with iron particles. 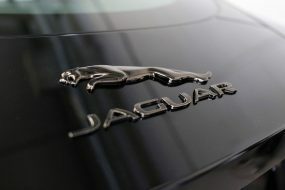 The formulation works to shrink the metal particles, causing them to break the firm bond with the underlying substrate. This then allows the contamination to be easily rinsed off using a pressure washer. 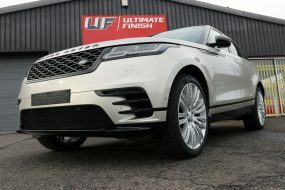 After degreasing the bodywork to remove any traces of diesel splatter and oily road grime, the car was covered with Ultimate Snow Foam applied through a Kranzle adapted foam lance attached to a Kranzle K1152 Pressure Washer. This creates a thick foam which clings to the vertical surfaces of the car. As the bubbles expand they lift larger particles of dirt and grit away from the surface, encapsulating them in the foam and allowing them to be safely rinsed off. 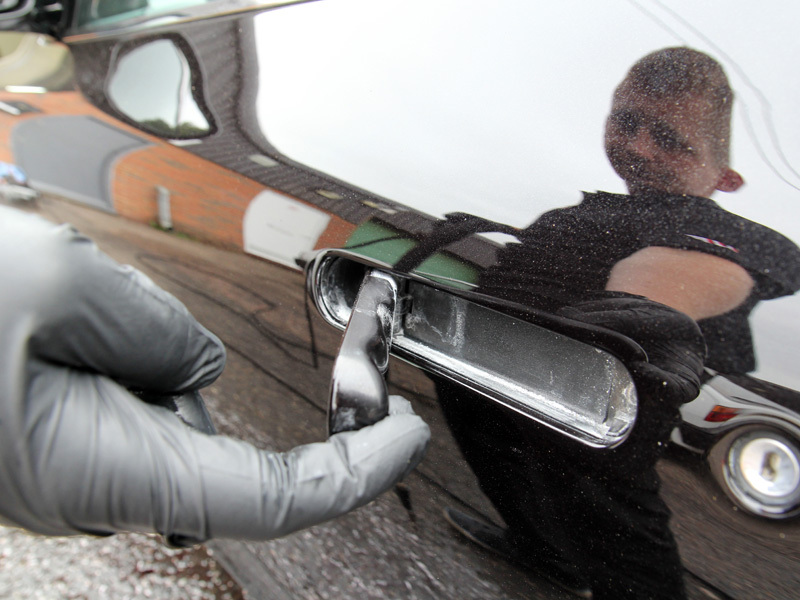 In this way, the paintwork is protected from additional marking so often caused when grit is inadvertently rubbed over the surface during the weekly wash. The foam and the captured dirt was then rinsed away before a second application. This time, the foam was used as lubrication for a clay mitt. These mitts work in a similar manner to clay bars, shearing protrusions of contamination off to leave the surface smooth as glass to the touch. After rinsing again, the car was given a thorough wash using two buckets with grit guards, an Ulti-Mitt Merino Wash Mitt and Nanolex Pure Shampoo. 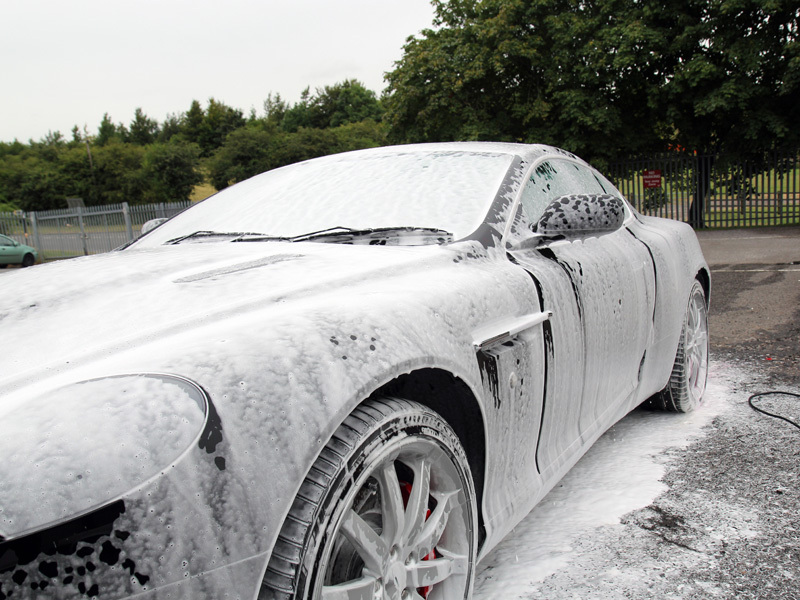 Once the suds were rinsed away, an Aqua Gleam De-ionising Water Filter was attached in-line with the hose to give the car a final, pure water rinse. 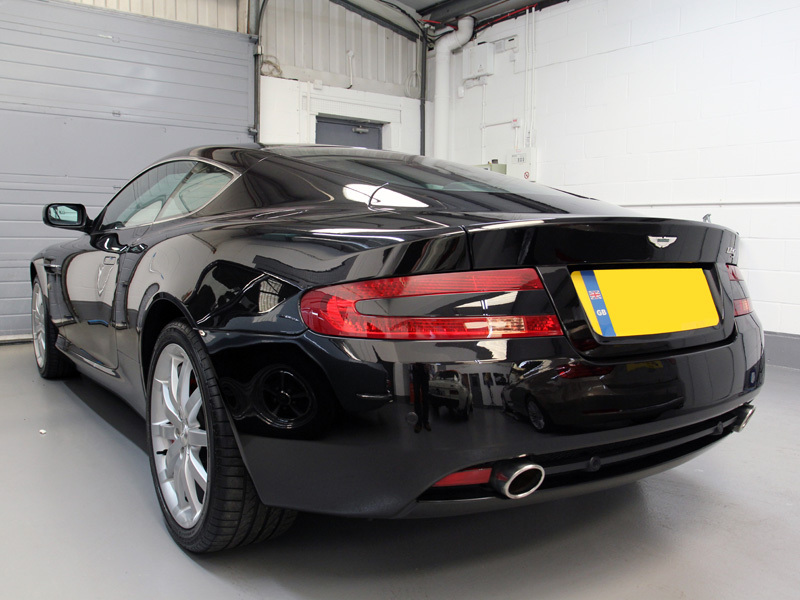 After drying with soft drying towels the DB9 was taken into the studio where the paintwork was closely inspected under high-intensity lighting. The swirls were evident to see, along with several minor scratches and some deeper scratches on the passenger side, likely caused by contact from passing bushes. 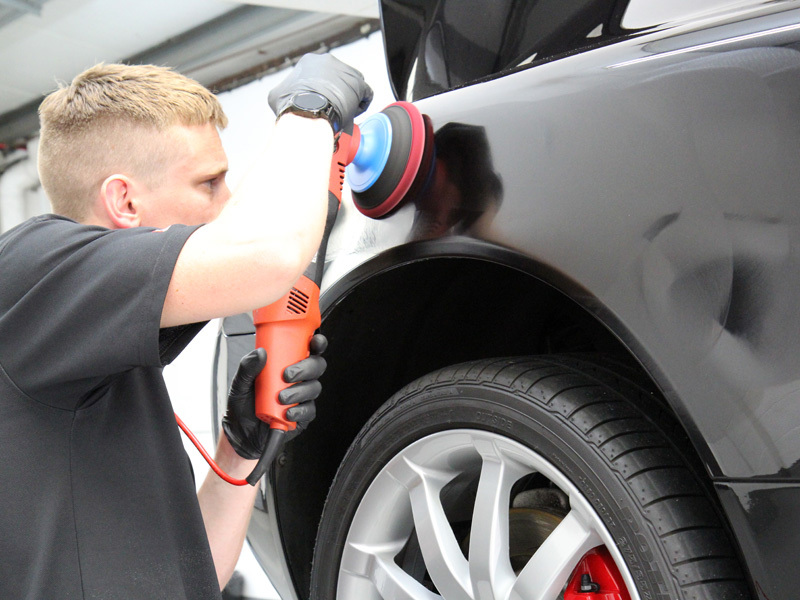 To correct the paint defects, a FLEX PE14-2 rotary machine polisher was used with a SCHOLL Concepts M14 Pad Backing Plate and a Meguiar’s Soft Buff Foam Cutting Disc. Together with Koch-Chemie Heavy Cut H8.02, the blemishes were soon removed leaving a glossy shine in need of only light refinement. 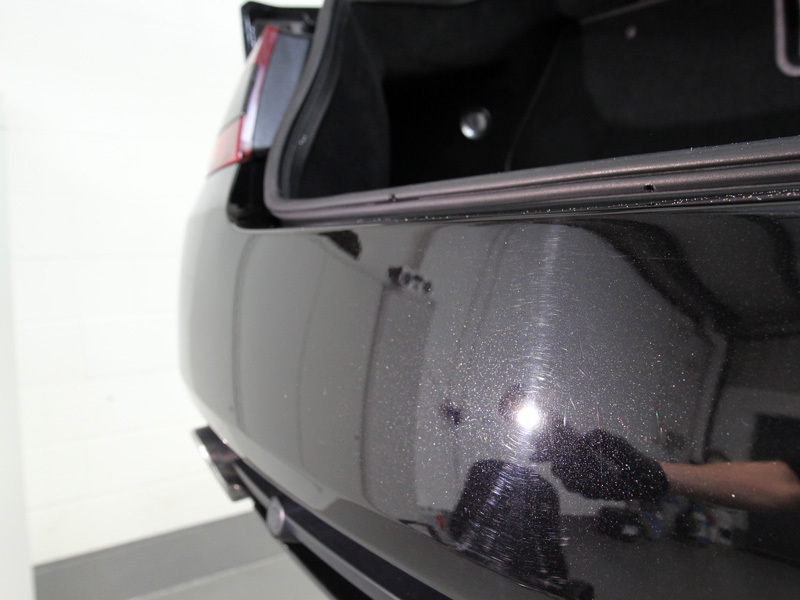 The refining process was completed using Menzerna SF3800 and a Meguiar’s Soft Buffing Finishing Disc. 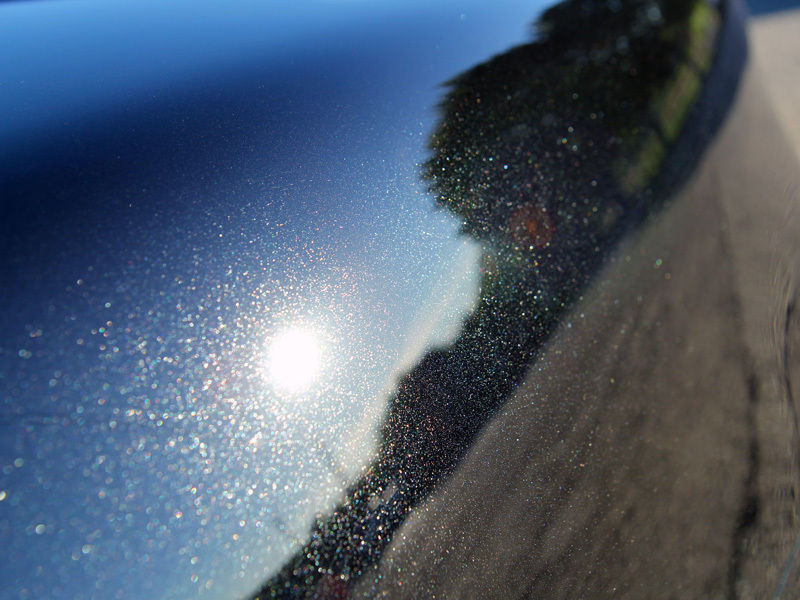 To protect the finish, add gloss and extra ‘pop’ to the metallic flake, a layer of Kamikaze Collection Miyabi Coat was applied by hand and buffed off with seamless microfibres. In Japanese, “Miyabe” translates to an aesthetic ideal of elegance and refinement, ideally suited then to this iconic Aston Martin! 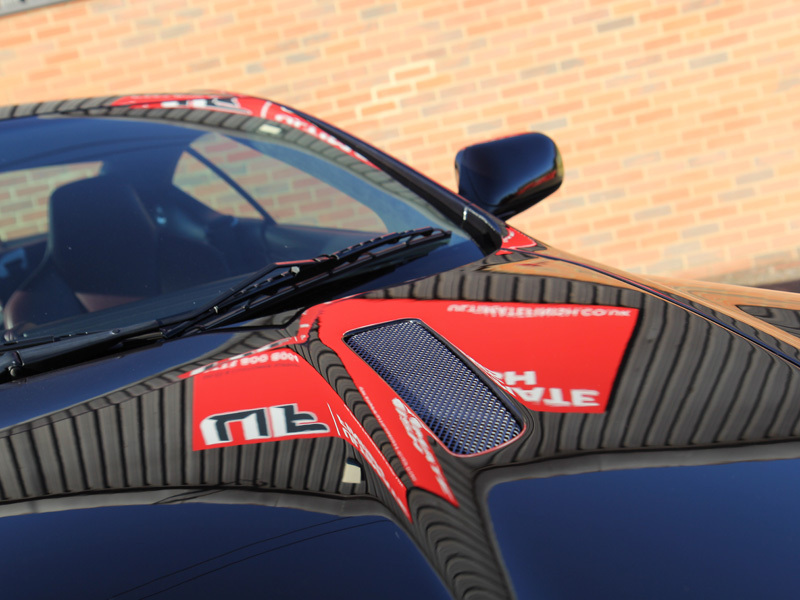 To complete the transformation, the initial coat of Miyabi was allowed to fully cure for a couple of hours and then topped off with Kamikaze Collection ISM Hydrocarbon Coat for an incredible candy-gloss finish. Attention now turned to the interior, where the ‘Iron Ore Red’ leather had become scuffed with use and faded over time by the effect of the sun’s UV rays. 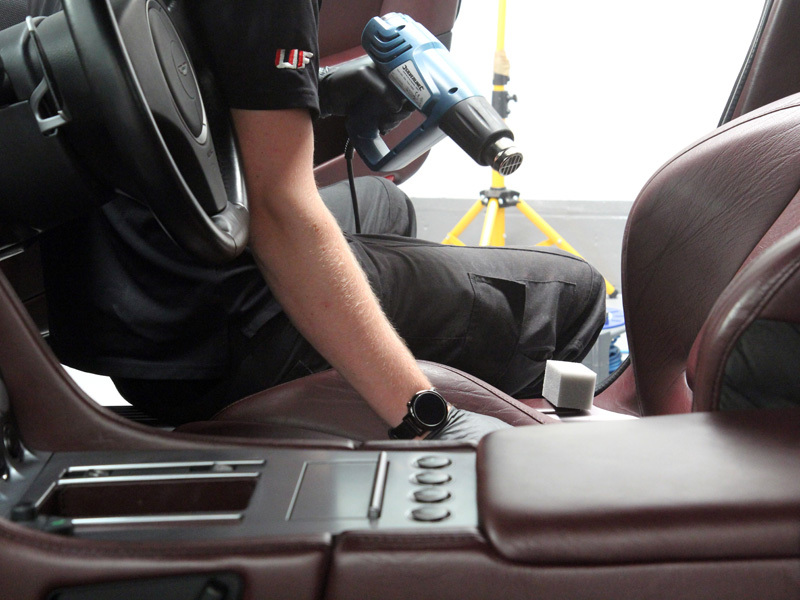 To address this, a comprehensive process of cleaning, repairing and colouring using Colourlock professional leather care products was used. 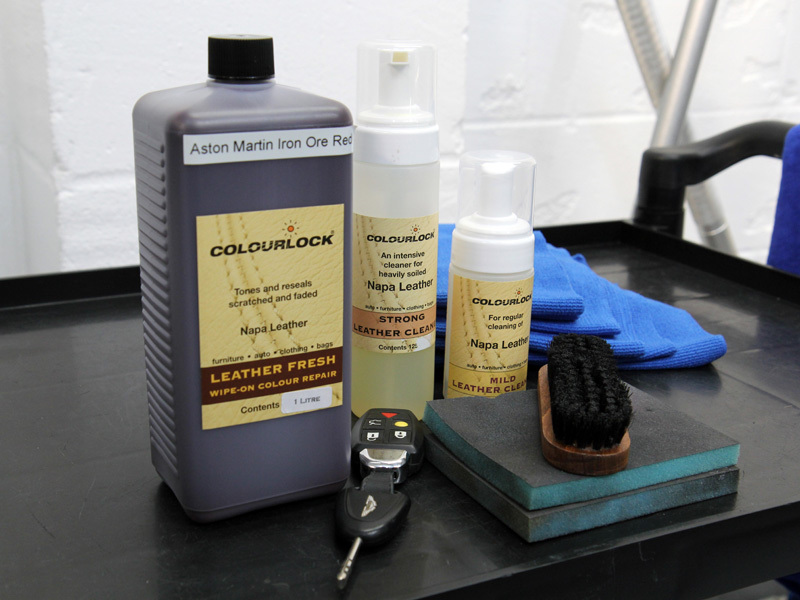 To match the colour exactly, a sample of the leather was sent to Colourlock for analysis and the resultant custom dye manufactured to their exacting standards. 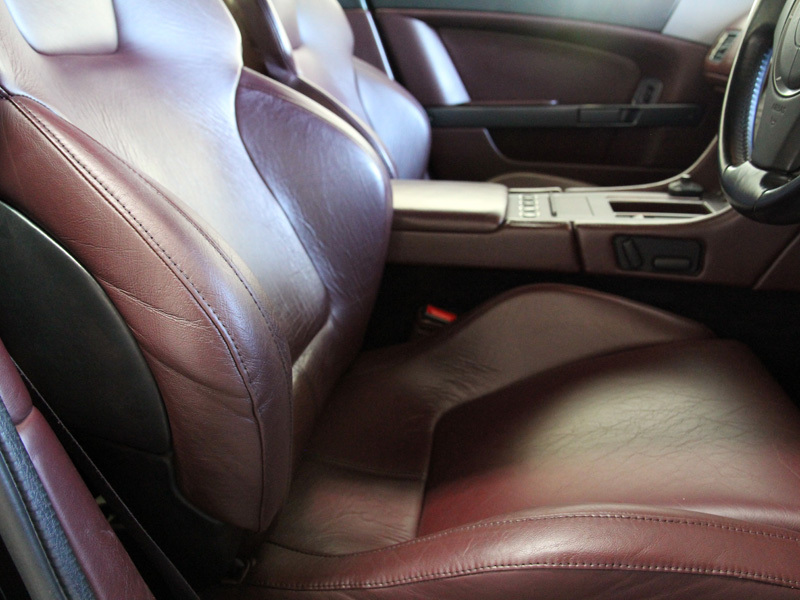 Initially, the leather was thoroughly cleaned using Colourlock Leather Cleaner. Although in this instance, Strong Leather Cleaner was used, for normal soiling, Mild Leather Cleaner is usually sufficient. The cleaner was pumped out of the container onto a Leather Cleaning Brush before being worked over the leather a section at a time. This removes embedded dirt from the grain to ensure the leather is completely clean. The foam is then wiped away with a soft microfibre towel. The leather is then degreased with Colourlock Leather Cleaning Spirit. This removes any traces of oils and fats which would otherwise interfere with the recolouring process. The areas that required treatment were then lightly sanded, to roughen the surface. This gives the dye texture to bond with. The dye is then loaded into the airbrush reservoir and lightly sprayed onto the affected area, with extra care taken to ensure even blending and coverage. A heat gun was used to accelerate the drying process. The visual difference in the leather was remarkable, with the recoloured areas blended well into the surrounding leather. Recolouring the damaged areas made a significant difference to the overall appearance of the interior whilst still retaining the original patina, which in this instance was a stipulation of the discerning owner! The glass was cleaned using Gtechniq G6 Perfect Glass before the exterior surfaces were sealed using G1 ClearVision Smart Glass. 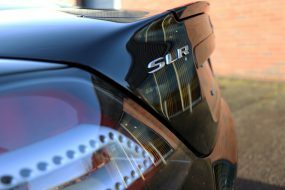 This nanotechnology-based ceramic sealant forms an optically clear, hydrophobic barrier which repels rainwater, causing it to bead on contact with the treated surface and allowing it to be blown away even when driving at relatively low speeds. 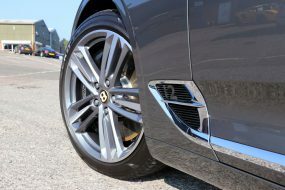 To finish the now refined and glossy look of the DB9, the wheels were protected using Gtechniq C5 Alloy Wheel Armour, a heat resistant nano sealant which forms a chemical bond with the alloy and so will not burn off or wash away. 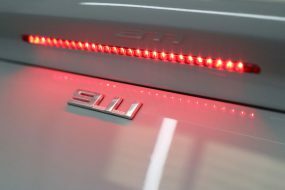 The barrier provides protection from dirt, grease and road grime build up as well as inhibiting brake dust from adhering to the wheel. 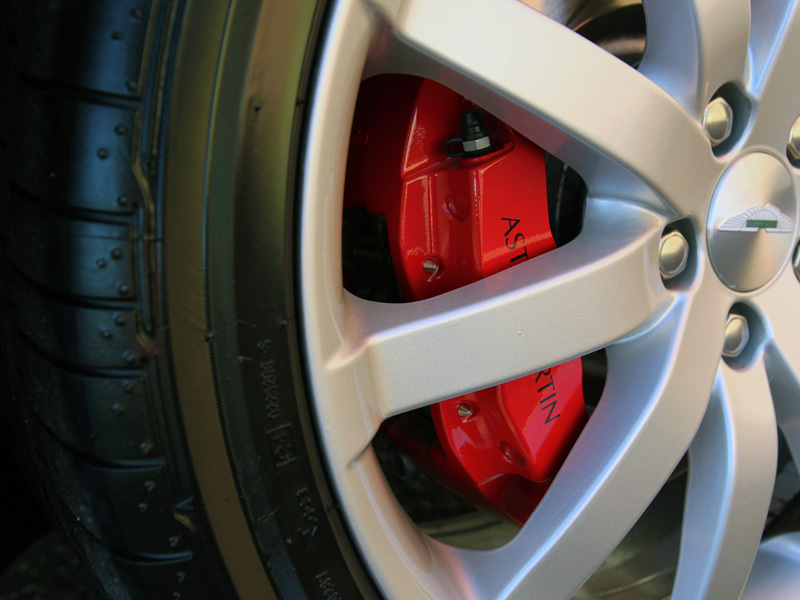 The tyres were dressed with Gtechniq T2 Tyre Dressing to give a natural satin shine. The final look? The car was truly transformed, inside and out!